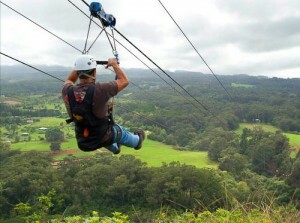 Ziplines are an incredibly fun way to see parts of Maui you’d never see. The best lines fly riders over rough terrain and verdant gulches, riders soar over a beautiful forest canopy. A zipline is a stationary cable stretched between two points, with the rider strapped into a trolley. Gravity pulls the rider along the cable – think Indiana Jones and you get the picture! Mark Twain called it “the sublimest spectacle I ever witnessed.” Words can not do this event justice, but sunrises as viewed from atop the 10,000′ mountain are typically nothing short of legendary. The landscapes inside the crater are surreal. Often compared to a moonscape, with the ranges of reds it more resembles a Mars-scape. Whatever you call it, it is a sight to behold likely like nothing you’ve seen before. Trek out on your own using our hiking guides/articles, hire a personal guide, or take a group tour with an experienced guided hike outfit. There are no shortage of downhill biking companies on Maui. You can go with a group, or rent your own gear. 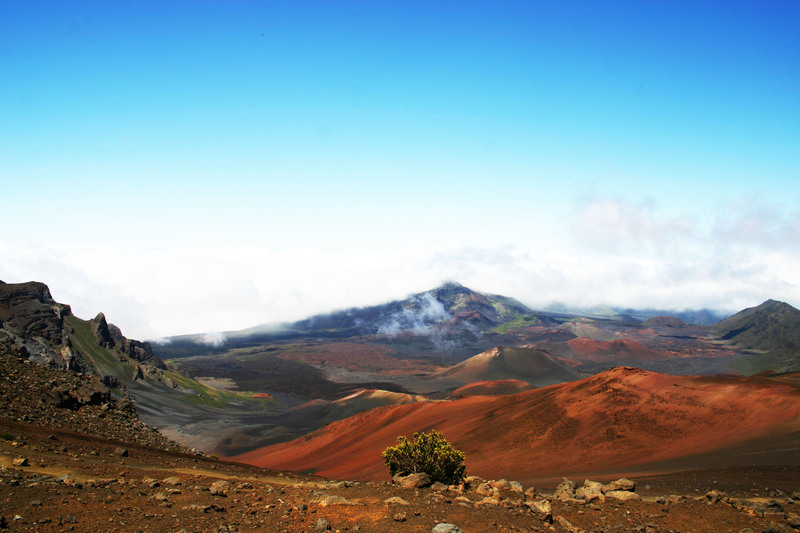 If you go solo, you can start at the Haleakala Summit and either take the well-traveled paved Crater Road on down, or the exciting (and off-road) Skyline Trail. There are no shortage of opportunities to be pampered in Maui. From resort spas to massage, aromatherapy and healing arts. Maui has more options than you’ll likely have days to experience them all. 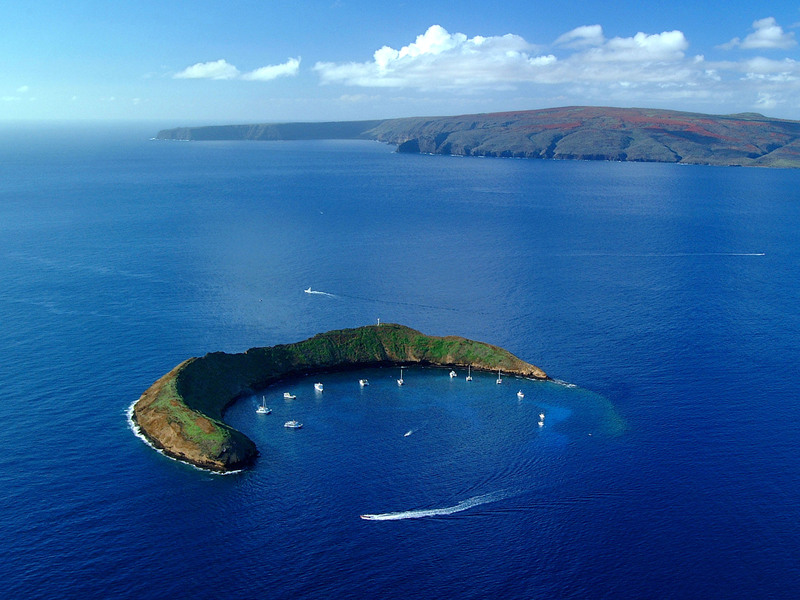 Molokini Crater is a popular marine reserve sheltered inside a small volcanic crater island off of South Maui. Molokini is home to hundreds of species of fish and coral, some found nowhere else but Hawai’i. 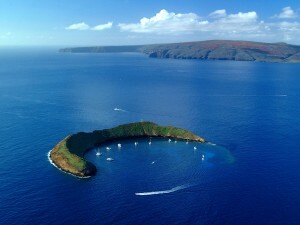 A snorkeling trip to Molokini Crater is usually unforgettable. Maui has many fine art galleries featuring an incredibly wide range of artwork. Galleries are so plentiful on Maui, you’re even likely to stumble upon some in out-of-the-way unexpected places. Lahaina has the most concentrated selection of galleries, while Makawao, Paia and Hana towns (and also some resorts) have galleries as well. If you never surfed, there are no shortage of folks dying to teach you how.